Lt. 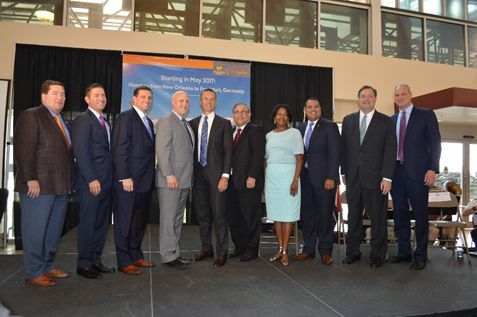 Governor Billy Nungesser was among dignitaries who this week announced Condor Airlines will offer direct flights from Germany to New Orleans in the summer of 2017. The connection between Frankfurt and MSY will fly every Wednesday and Sunday. 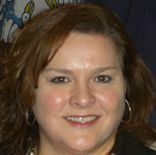 Louisiana Tax Free Shopping Executive Director Denise Thevenot has been named a seatholder with the U.S. Travel and Tourism Advisory Board. Thevenot will serve a two-year term for the agency overseen by the U.S. Department of Commerce. 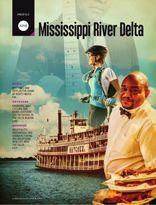 Louisiana was prominently featured in a recent Delta Sky special section on the Mississippi River Delta region. It was touted as both a hub for economic development and travel, and the latter emphasized the state's food, music and culture. 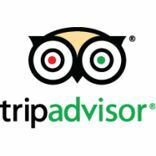 The Lake Charles/Southwest Louisiana Convention & Visitors Bureau recently received a Certificate of Excellence from TripAdvisor. The accolade stems from favorable reviews of local attractions, eateries and overnight providers by TripAdvisor users. A blogging couple recently produced notable accounts of field research in Plantation Country. Laurence Norah, an award-winning photographer who pens the Finding the Universe blog, produced a piece on Baton Rouge, while his wife, Jess, produced a piece on Oak Alley for her Independent Travel Cats blog. Trade publication Canadian Travel Press led off their last issue promoting New Orleans and Louisiana as this year's IPW host site. CTP is the Canadian market's most read and distributed trade publication, with 26,000 issues circulated each edition. The New Orleans CVB is seeking IPW ambassadors who will assist with airport arrivals, sightseeing departures and with staffing information desks at host hotels. June 14 – 16 Southeast Tourism Society Congressional Summit, Washington, D.C. If you have comments or suggestions for future issues of Louisiana Travel Pulse, contact Jeff Richard at jrichard@crt.la.gov or 225.342.7475.